You also forgot to mention that aragorn did not have the bow in the book, and even in the movies he only uses it once in the Moria. Maybe dumb, but did you think of giving the Gondor similar ability Rohan has - give them three Captains of Gondor? Notably i mean the Hurin The Keeper of The Keys, Forlong of Lossarnach and Hirluin of the Green Hills. They do not appear in the movie, but they were mentioned in the original lore, ant if i am correct, they played not the least role in battles of Pelargir and Pelennor. 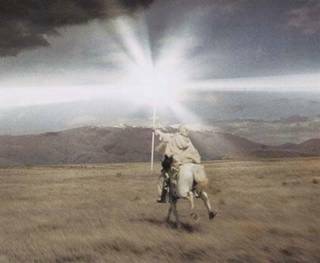 I have a small suggestion about Aragon's mount, or to be precise I suggest new model for Aragorn's horse. I found current model in game little "poor" for High king of men. If the team finds time to change this, I think it would be nice. But I'm sure there are many things to do that are more important. I am glad you like suggestion. Of course I am aware of "free" time. I am not speaking here about imperative instant implementation in game, just suggesting some change, which I hope that will be minor improvement of game, and date of that "implementation" is irrelevant to me to be honest if team decide to implement this change. Of course, if team finds this suggestion useful. I really agree!The current Horse is just not fitting the high HD Model of Aragorn whihc is ismply awesome and better Armored and more Gondor Like Style MOunt will be much much better! !I think it wil lbe a good and apropriate change! I just hope that the Team will like the idea and do it when they consider that they have time for it! That is exactly my point. Aragorn have one of the best models in game, and his mount looks really poor in comparison. I will see if i have some time for this suggestion. Personally I think that Shadowfax model is quite sufficient. I have isolated some sound effects which I have found nice for Glorfindel's Collect Starlight ability. Deploy stays with same sound effect, this is suggestion only for collect starlight. Personally I find second track better. Nice sounds. Yes, it would improve Glorfindel's skill. By the way, would you be up for find something for Galadriel's primary attack? Without spoilers it's quite nice AoE attack, similar to movie strike, and logically that she is the white lady so the attack has white animation as well. It should be something pleasant, no offensive and not too loud and mainly - when you are playing for her quite a long time, it should not become annoying for ears and brain as well. I hope that I've described it as best I could. In general, you could mix that sound if you have interpretation of which sounds it be made. I would also searched in WotR, there was nice sound of spells in general. It's a bit too quiet. Can you record the sound a little bit louder? Sure, I have uploaded it to megauploadfiles, it was faster. P.S. Sometimes it require to click free user more then once in order to start download.